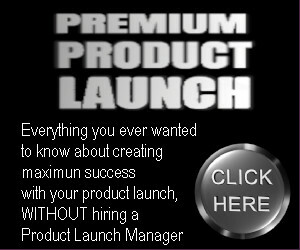 This offer applies to personal, professional, and business plans. Hey Folks, we’re going to start offering the ability to Pre-Pay and save for a year on your hosting! Starting today, new and existing customers have the option to pre-pay their hosting for 12 months and receive 2 months hosting for free. If you’re a current customer who switches over, you will also receive a pro-rated credit on whatever is left on your currently monthly bill. For example, if we normally bill you on the 5th and you decided to switch billing on the 15th, we’d credit you back for those 10 days before applying the new annual rate. You’ll see all this on your invoice! Your website is typically the first interaction people have with your brand. What does it say about your brand if it’s sluggish or is unavailable. Even worse, what if it’s deemed to not be secure? Any of those factors can result in some serious reputation damage, which quickly turns into lost revenue. Here’s where the four Ss of managed WordPress hosting make a major impact. Security, speed, scalability, and service each contribute directly to the success of your site, and therefore your brand. One of our goals here at WP Engine is to continue innovating and improving our platform so you can get the absolute most out of it. And late last year and early this year we made a host of improvements to our platform that give all WP Engine customers better performance, tighter security, and updated caching. Combined, these improvements result in faster, more reliable, and more secure WordPress sites. We’re in the process of updating our platform to PHP 5.5, Ubuntu 14.04, and MySQL 5.6. These upgrades individually deliver huge performance gains, and when combined they can account for nearly a 50 percent increase in speed for our customers. Thousands of our customers have already been moved into the new platform, and all new customers are on this platform already. We continue to actively migrate customers, and we’ll send you an email as part of the migration process. Exploits against several plugins, such as the RevSlider vulnerability, that attempt unauthorized downloads of php files, configuration files, /etc/passwd, and more. Attempts to gain unauthorized access to wp-admin. This improvement was put into action recently when news spread of the comment XSS vulnerability–our Security Engineers patched over 4,000 servers within three hours of the vulnerability being privately announced, and was therefore complete well before the public announcement. We’ve also improved our caching for mobile sites by updating how our platform handles mobile search engine bots. Previously, mobile-specific bots could be served cached versions of non-mobile-optimized pages. This is an important improvement for sites that serve different content to mobile users. These updates, and the updates we’re currently working on, reaffirm our commitment to all WP Engine customers that we’ll continuously innovate and work on ways to improve our platform. 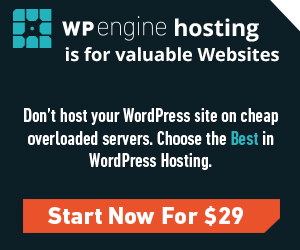 One of our missions at WP Engine is to provide you with the most secure WordPress experience possible. With that in mind, we’re immediately updating all of our customers who are using an out-of-date version of the Gravity Forms plugin to the latest version, 1.9.9. This update comes after our partner Sucuri uncovered security issues and vulnerabilities in multiple older versions of the plugin, which have resulted in thousands of WordPress sites being compromised. You can read more about it here. 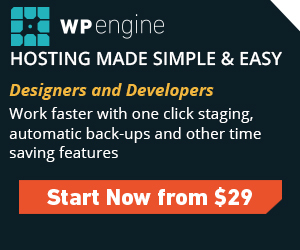 As a WP Engine customer, no action is required from you—we’ll take care of it. As part of our commitment to you, our team is identifying and cleaning all affected customer sites and upgrading them to Gravity Forms version 1.9.9. We will create a restore point before we update your site to ensure your data is secure in the event that the upgrade causes any form compatibility issues. Updating to the latest version of Gravity Forms is the only way to ensure that your site is protected from these vulnerabilities. WP Engine GeoIP, which we launched earlier this year, empowers brands, marketers, engineers, legal departments, and site owners to serve site visitors localized content. GeoIP unlocks the ability to show visitors pricing in their national currency, sites in their language, and content that is most relevant based on their geography. Over time, we have seen and heard about the benefits WP Engine GeoIP provides for our customers. However, there was one lingering challenge we needed to resolve. While integration of the GeoIP plugin on your site was relatively painless, it still required you to have some knowledge of API calls and development practices. Well, we have some exciting news for you: based on your feedback, we’ve made two changes that make WP Engine GeoIP even easier to use! First, we have added more built in shortcode functionality to assist with displaying specific content to visitors in different locations. All you will need to do is add the shortcode tags for the content that needs to be displayed and GeoIP will handle the rest. Simple as that! This will display “Content just for US visitors” strictly for visitors viewing from the United States. This will display “Content just for everyone in Texas and California” strictly for visitors from Texas and California. This will display “Content for everyone not in San Francisco” strictly for visitors not from San Francisco. Viewers in San Francisco will not see this message. Please note: full page redirects and TLD redirects still need to be implemented with the necessary API calls. You can see the full changelog here. Update the plugin through the WP Admin Dashboard with the default plugin updater. Download the plugin files from this page: https://wordpress.org/plugins/wpengine-geoip/. We are always seeking to improve our customer experience and offer additional features and uses for GeoIP. Keep an eye out for additional functionality in the future.